America did not enter WWII earlier for several key reasons. 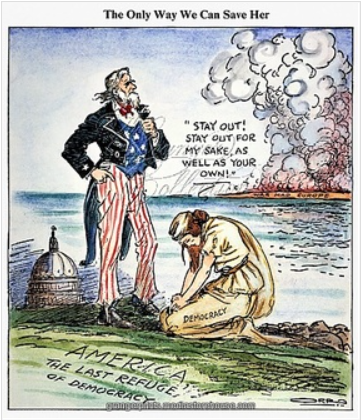 America was just emerging from the Great Depression and had little appetite for armed conflict. The memory of WWI was fresh in people's minds. Additionally, until 1941, the conflicts in Europe and Asia did little to interfere with American trade. Perhaps most importantly, there had been no significant American casualties up to December 7, 1941. ​​"The Lend-Lease Act was a way to keep us out of the war. FDR was committed to keeping us out of the war. He was lending money like it was going out of style. But to keep our people safe and save millions of lives, he knew the ​cost of war was not only financial, but lives would be lost."